Social media has the potential to do more good in our children's lives than we actually think. Teenagers in Britain are fortunate to have access to computers, laptops and smartphones from an early age. A child in the UK receives a smartphone at around the age of 12 – among the earliest in Europe. The natural consequence of this is that children spend a significant amount of their time on the internet. Nearly 20 years or so since the first social networks appeared on the internet, there has been considerable research into their psychological, societal, and health effects. While these have often been seen as largely negative over the years, there is plenty of evidence to the contrary. A recent report from the Education Policy Institute, for example, studied children’s use of the internet and their mental health. The report found that teenagers value social networks as a way of connecting with friends and family, maintaining their networks of friends, and long distance connections. 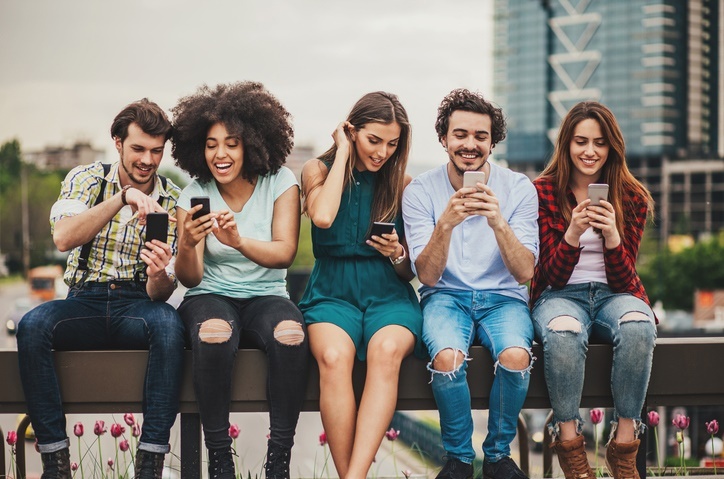 Teenagers see social networking as a comfortable medium for sharing their issues and finding solutions to problems such as social isolation and loneliness. They are also more likely to seek help in areas such as health advice, unknown experiences, and help with exams and study techniques. Social networks afford the opportunity to find people with similar interests, or to support teamwork in school projects. In unsettled economic and political times, teenagers use social networks as a means to be heard and to get involved in political activism, as well as volunteering and charitable activities. Teenagers also leverage social networks to engage with creative projects, and many young artists are first noticed through the exposure offered by the rich networking opportunities of social media, such as musicians on MySpace or photographers on image sharing sites Flickr or Behance. Teenagers looking to pursue careers in art or other creative industries turn to social platforms in order to create their portfolios as well as to create with others. These opportunities have a positive impact on adolescent character formation and the development of their individual identity, and helps them toward choosing a career path. These choices are made at an early age and to this end social networks are enriching young people’s lives. Unsurprisingly governments are concerned with the impact of social networking on the vulnerable. Concern over the uncontrolled nature of social networking has prompted action from parents and politicians. The issue of children roaming freely on social networks became an issue in the recent UK general election, and was mentioned in the Conservative party manifesto, which made a key pledge of “safety for children online, and new rights to require social media companies to delete information about young people as they turn 18”. This is a tall order, as it would require erasing tens of millions of teenagers’ profiles on around 20 different social platforms, hosted in different countries worldwide. The Conservatives also suggested the party would “create a power in law for government to introduce an industry-wide levy from social media companies and communication service providers to support awareness and preventative activity to counter internet harms”. Awareness-raising is an important step towards encouraging conscious social media use among the young. But despite continuing efforts to educate youngsters about the dangers (and, to be fair, the benefits) of using social media, many are wary of the impact technology may have on overly-social teenagers once outside parental control. It has been shown that teenagers increasingly use social networks in private, leaving parents outside environments where children are exposed to real-time content and largely unguarded instant communications. The concern raised in the report that “responses to protect, and build resilience in, young people are inadequate and often outdated” is timely. While schools are tasked with educating teenagers about the risks of social media, very few parents are able to effectively introduce controls on the content their children access and monitor the evolving threats that operate online. A recent study of compulsive social media use showed that it is not the user’s age that matters, but their individual motivations. In fact users who are highly sociable and driven by friends towards compulsive social media use suffer physically and socially. On the other hand when users are driven by hedonic (fun-seeking) motivations, their physical health and sociability improves. This explains why teenagers in the UK see social networking as a positive phenomenon that enriches their social life. There is clearly potential to harness these positives. While the tech giants that run the social networks with billions of users must play their part to ensure the safety of their youngest users, it is also parents’ role to talk openly with their children about their use of social networks and demand expected standards of use. Teenagers have questions about life and are looking for answers to their problems as they go through a challenging time of life. With the prime minister naming “mental health as a key priority” schools, parents, politicians and social networking platforms should help teenagers to build resilience to what they encounter online and how it makes them feel, rather than adopting only a safeguarding approach. It’s interesting to note that 78% of young people who contact the organisation Childline now do so online: teachers, family and friends providing support should make the most of a medium which today’s children and teenagers are comfortable with. How do you feel about your child using social media? Tell us by emailing to chatback@parent24.com.